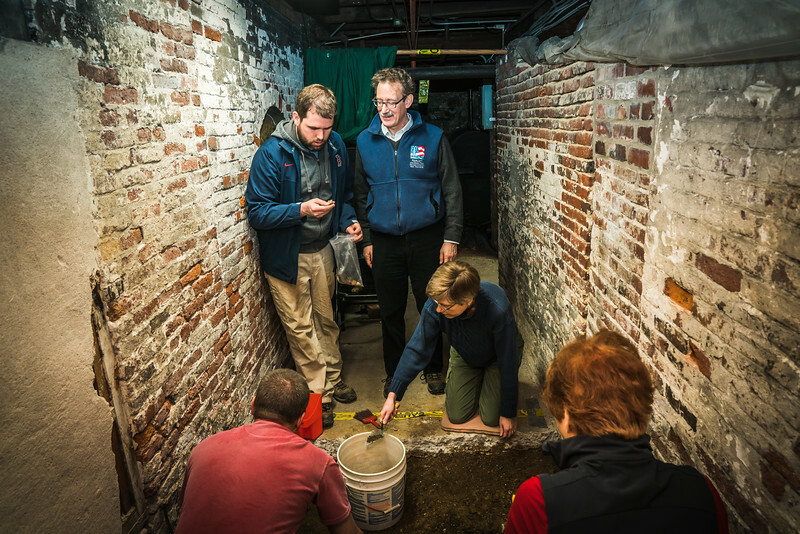 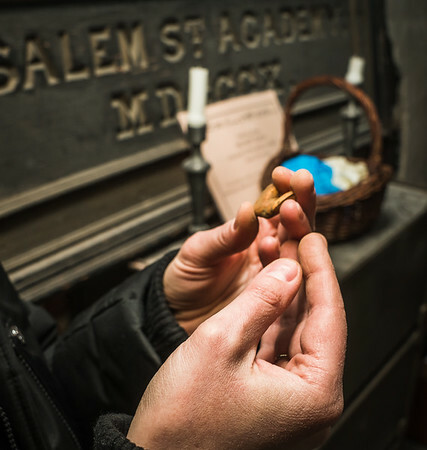 Boston Archeologist Joe Bagley (standing left) oversees the crypt dig with Old North Church Vicar and Foundation President Steve Ayres (standing right) and community volunteers. 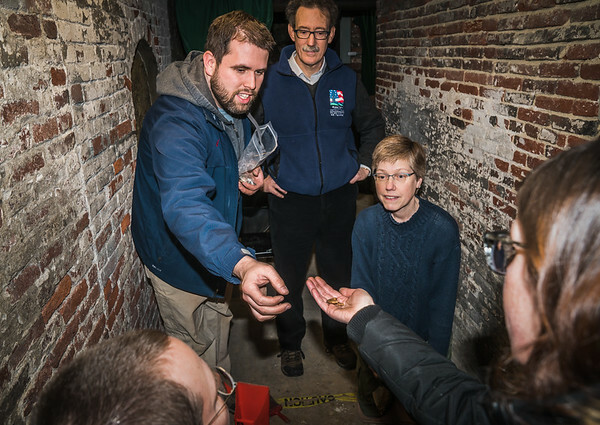 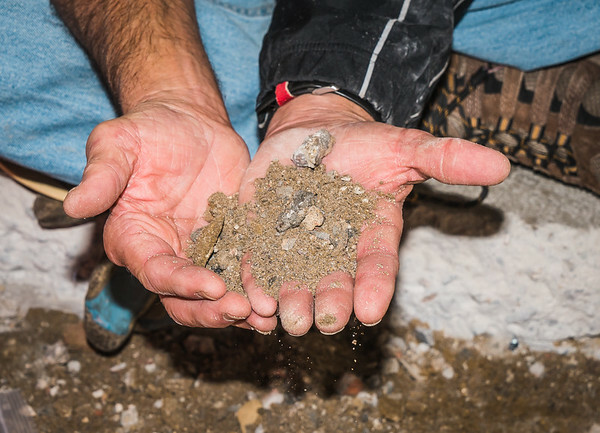 Old North Foundation President & Vicar Steve Ayres (standing right) examines an artifact with Boston Archeologist Joe Bagley (standing left) as volunteers dig and sift through the undergound soil. 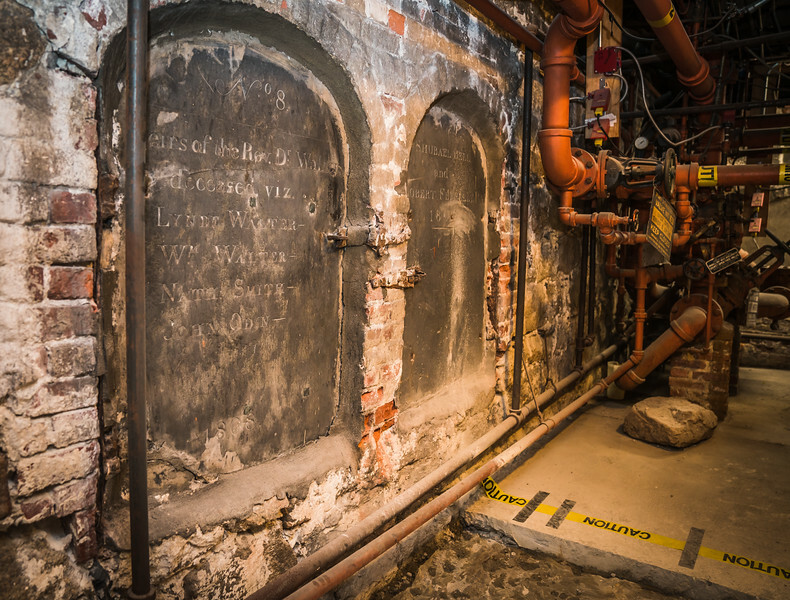 Tomb #26 going back to 1808 in the crypt under Old North Church. 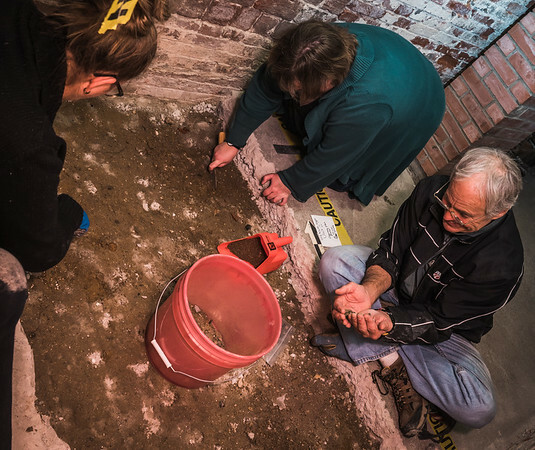 The archeological dig is examining the area under the walkway around the tombs. 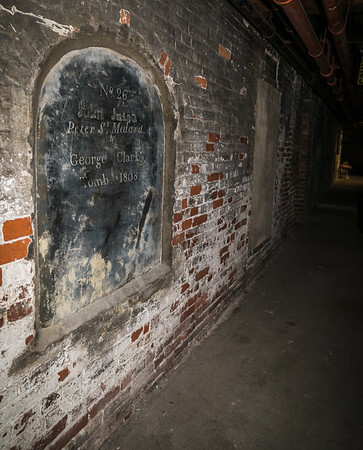 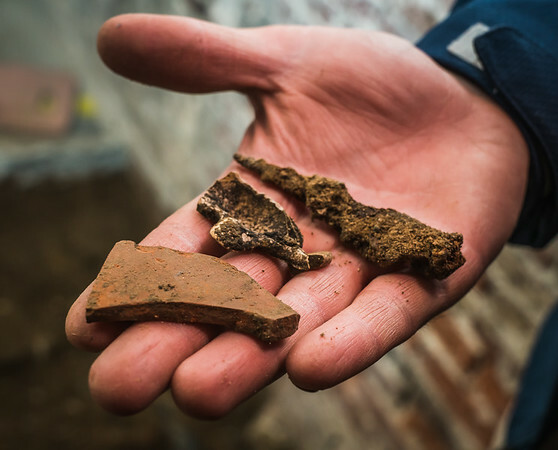 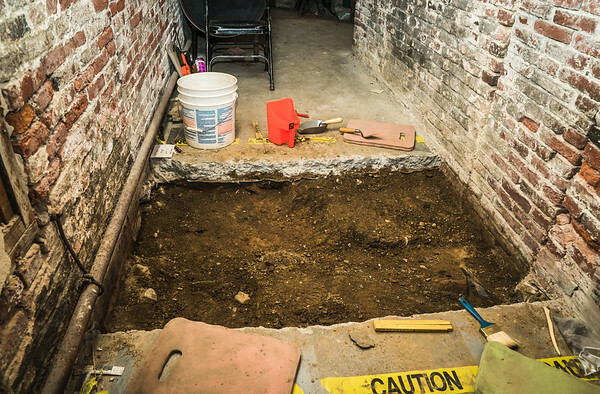 Tombs from the early 1800s next to the walkway unearthed for the archeological dig.